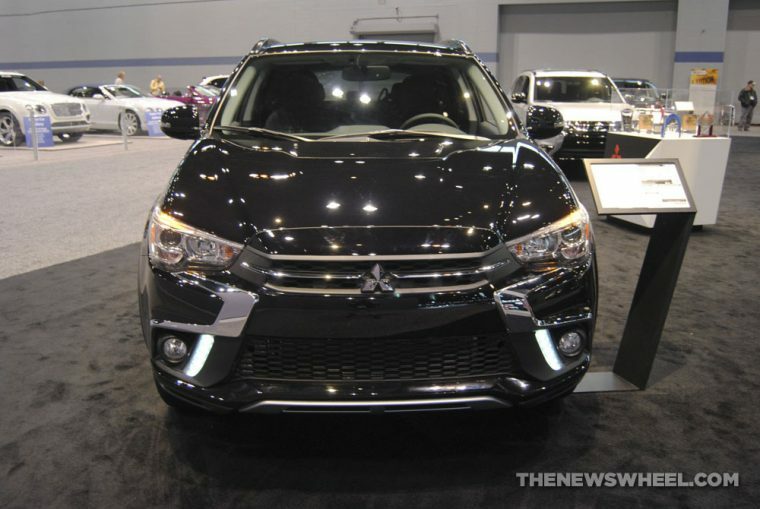 The 2019 Mitsubishi Outlander Sport is one of the brand’s most popular vehicles, clocking in at the smaller end of the crossover lineup. With seating for up to five and an affordable starting MSRP, this compact crossover offers a versatile entry point to Mitsubishi’s SUVs. 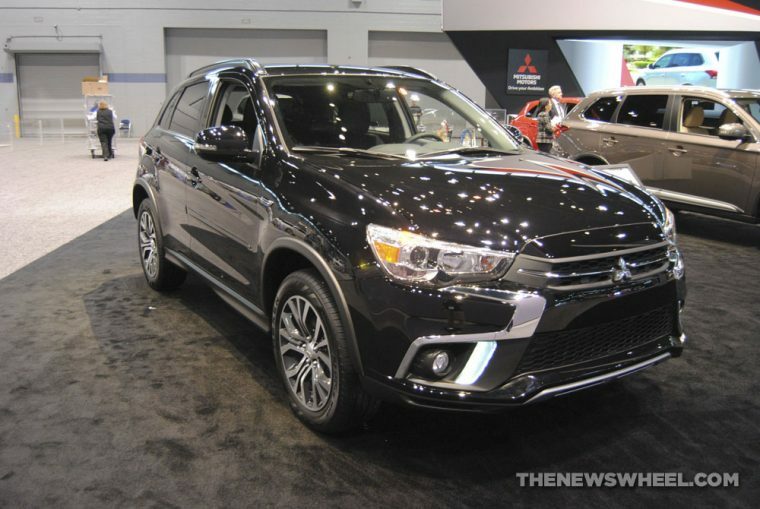 What’s New for the 2019 Mitsubishi Outlander Sport? 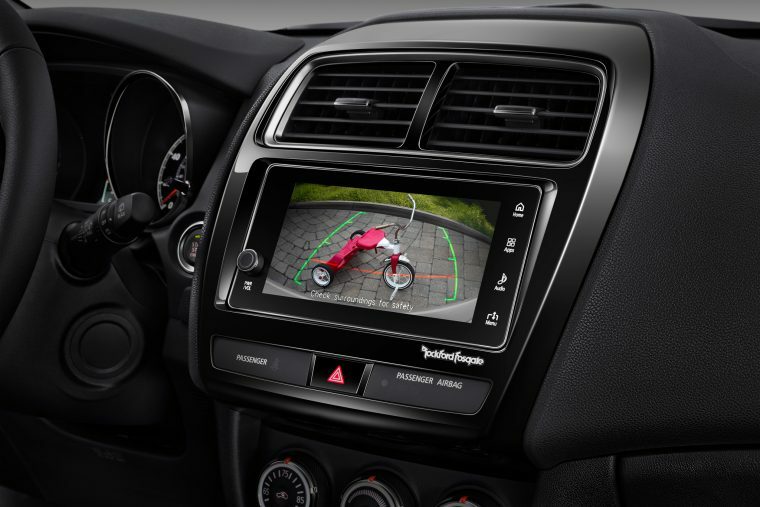 For 2019, the Mitsubishi Outlander Sport gets a handful of upgrades surrounding active safety systems. First, the SE and GT trims get Blind Spot Warning, Rear Cross-Traffic Alert, and Lane Change Assist. Then, on top of that the GT model gets Forward Collision Mitigation, Lane Departure Warning, and Automatic High-Beam Headlights. In addition, Mitsubishi is also dropping the SEL trim level entirely and reducing the price of the 2.4-liter GT trim with active safety features. The 2019 Outlander Sport is a compact crossover, giving it a shortened body. This means that the Outlander Sport has very little overhang in the front and rear, giving it a planted stance. The Outlander Sport’s colors are a bit of a one-of-each approach, with one color each for white, black, silver, gray, brown, red, and blue. 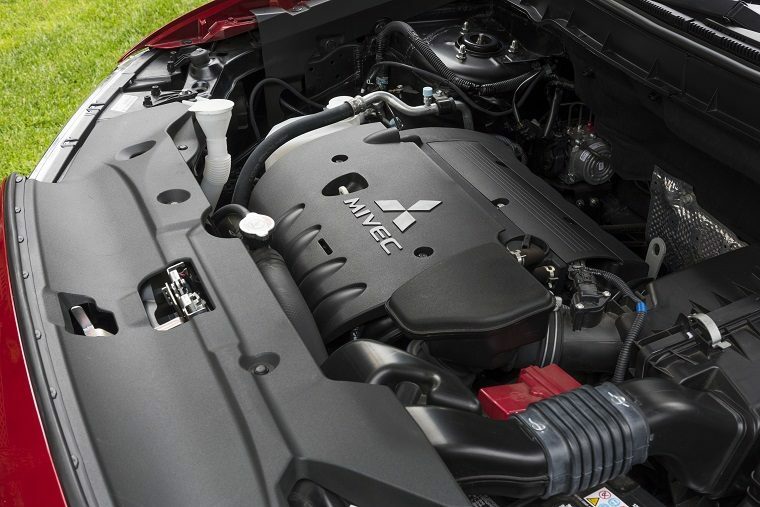 The Outlander Sport uses two engines for power. The first is a 2.0-liter four-cylinder, standard on the ES and SE trims, which produces 148 horsepower and 145 lb-ft of torque. Above that is a 2.4-liter four-cylinder, standard on the GT trim, which makes 168 horsepower and 167 lb-ft of torque. Most models of the Outlander Sport then use a Sportronic® continuously variable transmission. The very base model, though, comes with a five-speed manual transmission. Each trim comes with either two-wheel drive or available All-Wheel Control. The Outlander Sport ES, with two-wheel drive, a five-speed manual transmission, and the 2.0-liter engine, delivers 23/29/25 mpg city/highway/combined. With the CVT in the ES or SE, this becomes 24/30/27 mpg city/highway/combined. Finally, with all-wheel control, the ES and SE deliver 23/29/26 mpg city/highway/combined. The GT trim, with two-wheel drive and the 2.4-liter engine, makes 23/29/25 mpg city/highway/combined. With all-wheel control this only changes for highway driving, becoming 28 mpg on the highway. 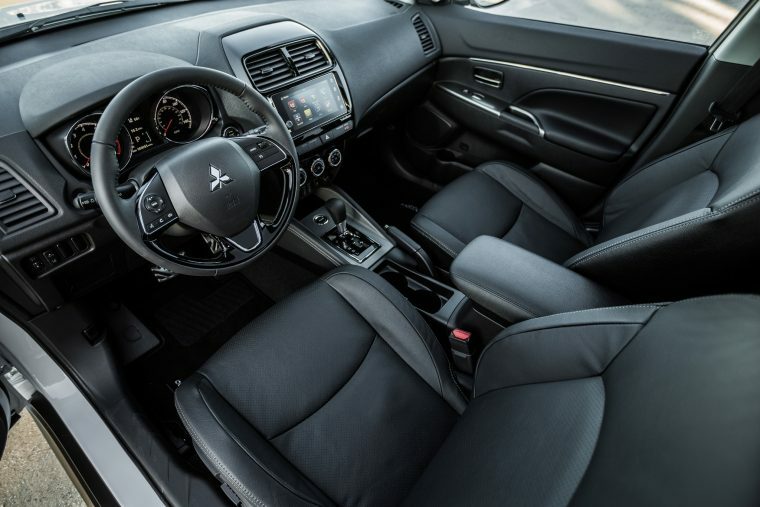 Inside, the 2019 Outlander Sport offers seating for up to five passengers, though with the rear seats folded, it can hold up to 49.5 cubic feet of cargo. Interestingly, each model includes the same automatic climate control system. 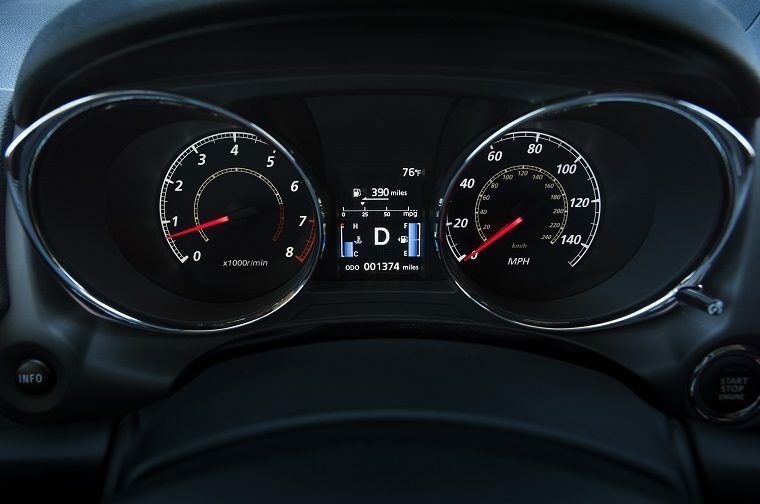 As standard equipment, the 2019 Outlander Sport offers the safety systems you would expect on a modern vehicle, such as anti-lock brakes, stability control, airbags all around, LATCH child-seat anchors, and seat belts at all positions. When you go above the ES trim, you get more advanced systems like blind-spot monitoring, cross-traffic alert, and Lane Change Assist.